The International Monetary Fund seems to be getting cold feet about providing Ukraine with more financial aid. With the country teetering on default, funds are desperately needed, but the organization is wary of exposing itself to more debt. In April, the International Monetary Fund (IMF) pledged $17 billion to Ukraine, which was almost two-thirds of the $27 billion given to Kiev from backers that included the United States and the European Union. However, with Ukraine now in need of new loans in the region of $15 billion, the monetary board doesn’t want to provide more than two-thirds of any new loans and is circumspect due to the lack of any economic growth in the country. “Ukraine from the beginning has been a political issue, not an economic issue,” said Andrea Montanino, who was formerly Italy’s representative to the IMF, as reported by Bloomberg. The IMF arrived in Ukraine in January for talks on providing Kiev with extra funds. In an interview with the French newspaper Le Monde on January 26, the head of the IMF Christine Lagarde said the fund would provide financial assistance to Ukraine only when the situation in the country is stabilized. 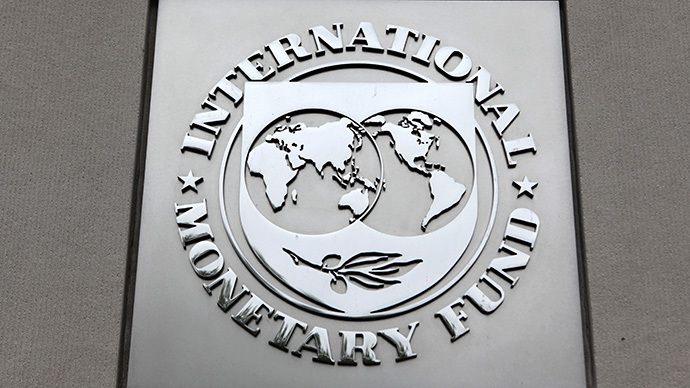 According to Lagarde, when the IMF gave financial support in the spring of 2014, experts expected the unrest in the East of the country to end by the winter. This has not proven to be the case, with the conflict still raging in the Donetsk and Lugansk regions of Ukraine. Neither Kiev nor the IMF has said how much Ukraine has requested, however Montanino says he believes the fund will provide between $5 billion and $6 billion. With new loans in the region of $15 billion needed, this would put pressure on the US, the EU and other institutions such as the World Bank to come up with the remaining $9 billion to $10 billion. Since the New Year, Kiev has already received pledges from the EU to provide €1.8 billion ($2.05 billion) and an extra $1 billion from the US, bringing Washington’s total commitment to $2 billion to Ukraine in aid. Kiev's public debt is growing at a pace much faster than the IMF expected. The sovereign debt of Ukraine could reach 90 percent of GDP in 2015, according to the FT. The IMF estimates this level of debt as unsustainable. By controlling the amount of aid given to Kiev, the IMF would be able to limit the fallout from any possible default. Of the $17 billion allocated by the IMF last spring, only the first two tranches have been paid out, amounting to $4.6 billion, due to Kiev’s inability to enact political and economic reforms in a timely manner. “The IMF doesn’t want to be too exposed on its own,” said Anders Aslund, a senior fellow at the Peterson Institute for International Economics in Washington, according to Bloomberg. The IMF had hoped the Ukrainian economy would start to experience growth in 2015, after it contracted by 7.5 percent last year. However, the organization is becoming more pessimistic about the economic situation in the country and now believes a further contraction of 4.3 percent will take place in 2015, Bloomberg reports.